During our first week in Japan we had the opportunity to visit Asakusa, where we went to our first Buddhist temple called Sensou-ji. This was one of the most fascinating places we visited during our program because the area was divided into two main areas: the temple and a small market called Nakamise-Dori. Before walking to the temple, we made our way through the Nakamise-Dori market, which I calculated to have about 90 stores. 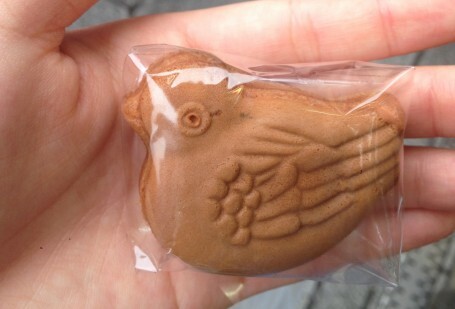 Some of the stores had omiyage (souvenirs), shoes, clothes, bags, and unique sweets. I had the chance to taste fresh ningyou-yaki, which is a traditional Japanese cake that is often molded into a Japanese design. The name literally means “fried doll,” which is exactly what we got. I had a bird design, but other students got flowers and lanterns. 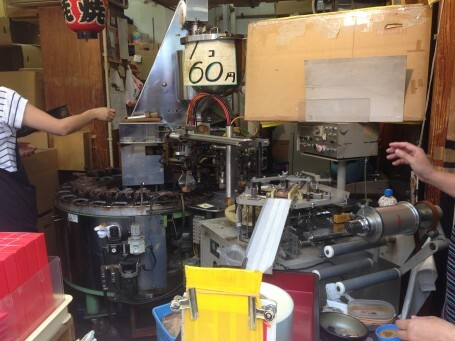 We could see the ningyou-yaki being made right in front of us with a machine that did everything: pour the batter, bake the cakes, and then individually wrap each one. It was one of the best sweets I had the pleasure of trying in Japan. My favorite shop along Nakamise-Dori was an incense shop owned by a cute older lady and her daughter. After walking into the shop, I learned the name of the incense was actually Nakamura, which is also my last name. With the help of our teaching assistant, Chad Walker, I was able to talk to her. 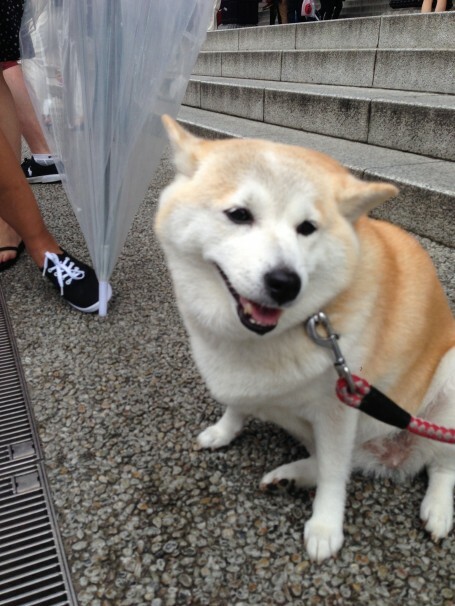 She was so surprised that I was a Nakamura as well that she offered us free incense. Even though there was a language barrier, she was very kind to us. I wish I could have communicated with her more. If I ever go back, I would love to stop by the shop again and visit her. 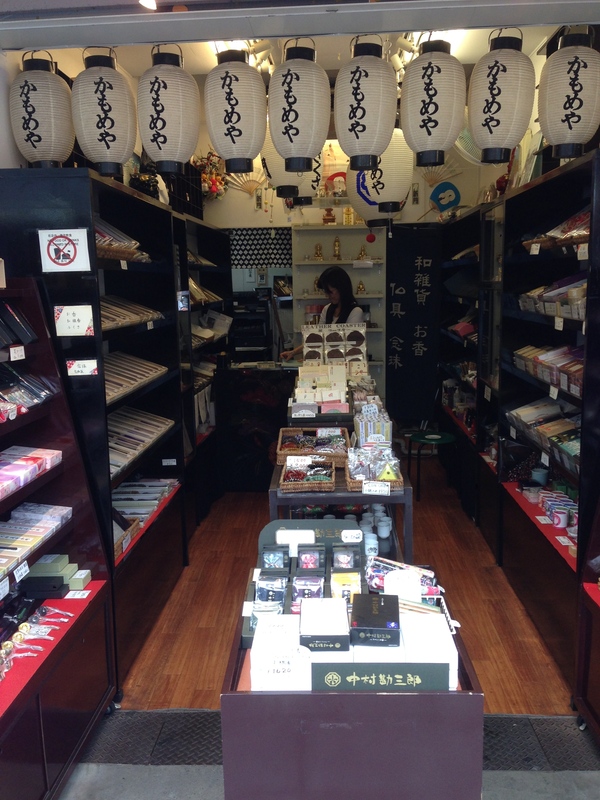 Incense shop, featuring Nakamura incense front and center! 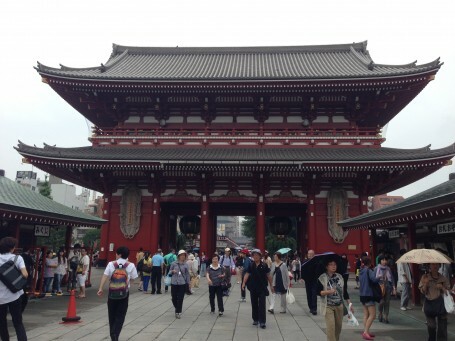 By the time we reached the Sensou-ji temple, we had walked all the way through the Nakamise-Dori. Before entering there were several stops were you could cleanse yourself before entering the temple. At one stop, you could burn incense and wave some of the smoke onto yourself to cleanse your body, while at the next stop, which we saw to be common at most temples in Japan, you could cleanse your hands and mouth using ladles to scoop and pour water that was continually pouring out of a spout. At the entrance to the temple, there was a place where you could donate 5 yen (the phrase “5 yen,” or “go-en,” has a second meaning of “good fortune” in Japanese) by first tossing the coin into a large rectangular box, and then bow twice, clap twice, pray, and then bow one last time. This is a very common practice for the locals to do when they visit temples. 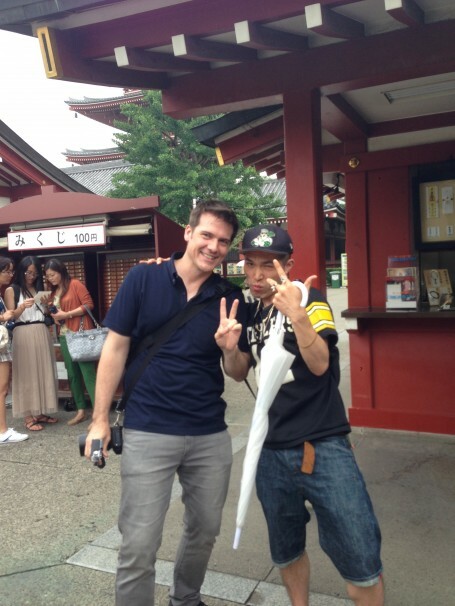 Before we left the temple, we saw a famous Japanese wrestler/fighter who was visiting the temple before a big match. He had a flock of screaming girls who wanted to take pictures with him. Chad, our TA, walked up to him, and he was very kind and willing to take a picture with him. In addition to the famous wrestler, we also saw a Shiba dog named Momo, who was a plump, small dog. The owner was very kind to let our whole group pet her dog. After visiting the temple we still had some free time, so we visited a shop that sold realistic plastic replicas of all sorts of foods, such as the kind you see in restaurant displays. You could find everything at the shop, from sushi to beer to giant bowls of ramen! Such plastic displays are very popular in Japan, so it was great to have the opportunity to visit a shop that sold so many types of interesting, realistic replicas before leaving Japan! This entry was posted in Class, Culture, Exploring, Tokyo by geajapan. Bookmark the permalink.